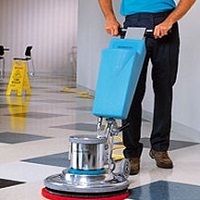 Your search for reliable housekeeping services comes to an end at RNS Vision Solution India Private Limited. We are located in Bhagalpur (Bihar) and are offering affordable housekeeping services. Our housekeeping professionals are trained to manage different tasks like upholstery cleaning, cooking, dusting, mopping, preparing food, doing utensils etc. Our housekeeping staff also holds an expertise in handling the washing machine, vacuum cleaner, oven etc. This service of ours is utilized on a huge scale in the corporal field and residential areas all over Bhagalpur.